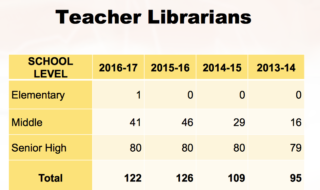 Teacher librarians, who also teach students research skills, are up from a low of 95 three years ago. Yet some school libraries are not staffed because school leaders can choose to spend their funding elsewhere. LA Unified officials say the district has bent over backward to give schools as much local control as possible over discretionary positions and funds. But has it backfired? Are schools filthier, counselors scarce and financial bookkeeping in disarray because principals can juggle staff resources and choose which positions to fill? That’s what school board members are now looking into because of a report this week about libraries. It turns out that 39 middle school libraries no longer have teacher librarians, and 19 of those schools decided not to even hire the less-expensive library aides. By not staffing school libraries, they are essentially shut down altogether. Those schools decided to use the money — about $4.45 million — for other needs. That was a surprise to the four school board members at Tuesday’s Budget, Facilities and Audit Committee meeting, where they were getting a report on the staffing of libraries throughout the district. She said it’s been a trial-and-error process balancing what the central office requires and how much the principals and school site councils made up of teachers and parents can decide on what to spend. Sometimes it has resulted in some mistakes, she noted. The governor granted schools more control over their money through the Local Control Funding Formula, and Superintendent Michelle King has touted a more decentralized system that allows school leaders to make their own decisions. This increased autonomy is supposed to allow the traditional schools to be more competitive with charter schools, which have fewer restrictions and less control from district headquarters. So unless a school is bound by federal or state laws, union agreements, court orders or consent decrees, its leadership can have more flexibility to use funds for certain job assignments that were otherwise mandatory. Those jobs include assistant principals, building and grounds workers, counseling support, financial managers, office technicians, administrative assistants, teacher librarians and library aides. That’s meant that some schools decided not to fund libraries, even though the district made a concerted effort to replenish library staffs after severe budget cuts three years ago. The board members responded with surprise and consternation. So during her committee report next Tuesday at the regularly scheduled school board meeting, Ratliff said she will ask that the library positions for middle schools be removed from the discretionary list and be considered mandatory positions. Her resolution listed on Tuesday’s board meeting agenda asks for the superintendent to report back to the committee in April. “This does not seem appropriate,” Ratliff said, adding it seems unfair that schools that have better fundraising skills are able to fill the library positions on their own. This year, for the first time since 2008, all school libraries are re-opened, but some schools have decided not to allow access to the libraries with proper supervision. Library teachers generally work six hours a day and are trained to also teach classes about how to do research and find accurate information in books and on the internet. They do computer training, teach literary skills and do inquiry-based learning usually in the library. Those classes are a staple for middle schools. The salary costs for library teachers this year is $13.6 million, and the number of positions rose from a low of 95 three years ago to 122 now, according to the district. John McGinnis of the California School Library Association. Library aides are generally hired at three hours a day, and some are split between two schools. 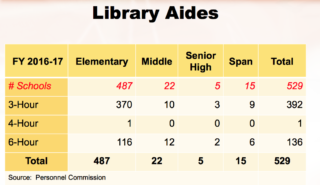 The district said it spends $12 million on 529 positions for library aides. Elementary schools have three-hour library aides authorized by the district. High schools up to 1,150 students have a half-time library teacher, while those with more students have a full-time library teacher assigned to their school. Charter schools, many which share libraries on traditional school campuses, are included unless they have their own non-district site. Funding for the library salaries comes from the general fund, the Charter School Categorical Block Grant and Title 1 money. The school board members noted that the local school autonomy creates other issues for the schools. 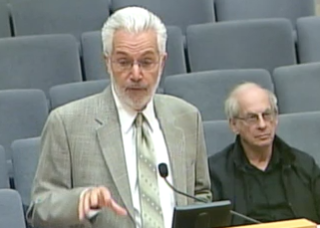 Board member Scott Schmerelson pointed out that the local choices could create more problems than just in the library. Esther Sinofsky, administrative coordinator of Integrated Library and Textbook Services. 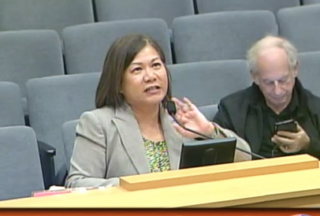 Schmerelson added that a bonded financial manager position should not be a discretionary position either. Five schools funded their own librarians in the past out of money collected from PTAs and community fundraising, said Esther Sinofsky, the district’s administrative coordinator of Integrated Library and Textbook Services. She talked about recently visiting the only elementary school in the district that found funding for a teacher librarian. Meyler Street Elementary School in Torrance is a dual language and International Baccalaureate school, which is an advanced traditional school program that requires a trained teacher running the library. But for the first time, Sinofsky said she faced six schools that no longer have people to teach the required middle school literacy classes once taught by teacher librarians. Franny Parrish represents library aides. “This is the first year we’ve run into this situation,” Sinofsky said. Also, because of the understaffing of the libraries, Sinofsky said she doesn’t know how many books are lost, missing or outdated. Every book is scanned into the library system, but there is no latest accounting of the books, she said. 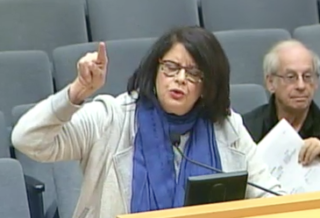 The loss of books due to library closures is in the double-digit millions, according to Franny Parrish, the political action chairwoman for the California School Employees Association, the union that represents library aides. 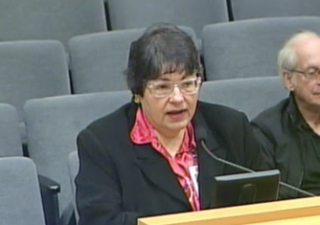 An aide herself, she estimated her Dixie Canyon Community Charter School in Sherman Oaks suffered $12,000 worth of book losses, but when she returned to work there they only lost about $380 worth of books in the last year. Chief Financial Officer Megan Reilly explained that the school communities were given the chance to make their own decisions. She explained that some schools have trouble because it is unclear whether they will have the money for positions in upcoming years. Sally Hoy reports on librarians. Some of the speakers during public comment emphasized how important libraries are for poor students, especially as fake internet stories proliferate. “Students need to know how to find good sources,” said John McGinnis of the California School Library Association who recently co-authored a book of collected histories about libraries. He pointed out that the first school library in the state was started at Los Angeles High School in 1903, and it hired the second school librarian hired in the country, the first being in New York. Susan Dorsey, who was also one of the first school librarians, became the first female school superintendent in the early days of LA Unified. “We are motivated by a need for equity because 70 percent of the students are living in poverty, they need access to a school library,” McGinnis said. Ratliff said she wanted the library staff to find out what is in the collection and what needs to be updated. Ratliff also asked the staff to let her know which of the discretionary positions were redirected and how they were switched. “I’m stunned of the concept that they’re not using librarians and using something else,” Ratliff said. Later in the day on Tuesday, when Ratliff attended the Committee of the Whole with all the other board members and the superintendent, she gave a preview of what she said she plans to propose next week and repeated her concerns. “This is something that needs to be addressed by the whole board, and it really bothers me,” Ratliff said.